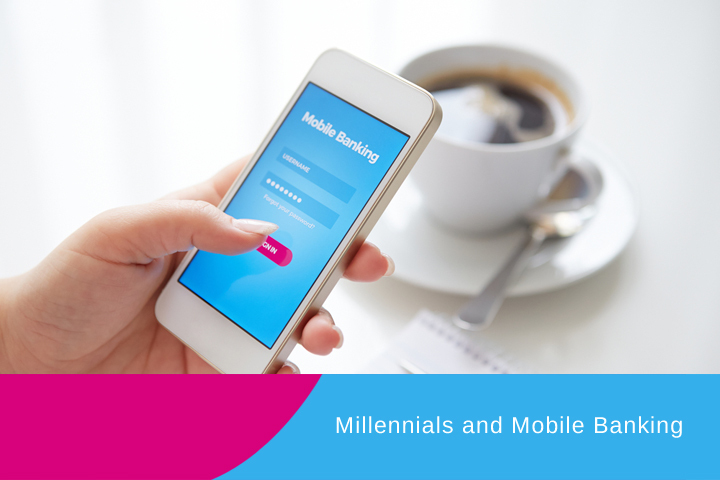 Gone are the days of driving to the bank, waiting in line, speaking with the teller, and cashing checks – and this is thanks in large part to the way millennials have responded to mobile banking. While all demographics are slowly adopting, it’s clearly the millennials who are leading the way. Just wait until you see these numbers. It’s time to stop thinking of millennials as kids. While they’re comparatively young, they’ve officially joined baby boomers and generation Xers as primary income earners in the global economy. That’s why financial institutions need to take relevant statistics, data points, and trends – like the following from the 2016 FIS Consumer Banking PACE Index – seriously. Millennials are three times as likely as baby boomers to access their accounts via a mobile device, and 30 percent less likely to visit a bank branch or drive-thru in person. Each month, 81 percent of millennials access their accounts via a computer or laptop, 63 percent do so via a mobile phone, and 33 percent do so via a tablet. By comparison, only 56 percent use an ATM and 55 percent visit a branch facility. 65 percent of millennials check their bank account balances on a mobile device, while 40 percent actually pay bills directly from their account. Approximately 31 percent receive mobile notifications from their respective financial institution and 26 percent deposit checks remotely by taking a picture with their mobile device. As far as larger financial trends go, the majority of millennials anticipate at least one major financial decision to be made in the next 36 months. The most commonly anticipated life events include buying a car (35 percent), investing in the future (35 percent), paying for school tuition (28 percent), and buying a house (24 percent). While older generations still use mobile banking, it’s clear that millennials are comfortable with it. This makes it an ideal solution for financial institutions of all shapes and sizes. The label of “millennial” is pretty liberal. It generally includes people from 18 to 34 years old, but can easily expand or contract a couple of years in either direction. And with such a vast age difference between the upper and lower ends of this demographic, it’s not always entirely accurate to group them all together. That’s why many financial services companies choose to split them into two groups. At OpenMarket, we call these two groups “Young Gen Y” and “Older Gen Y.” And according to recent research, we’ve found that – while the two groups are similar – each is unique in terms of financial matters. Younger Gen Y’s are 18-24, have low assets, are mostly students or recent graduates, have a mobile-first mindset, and are much less likely to monitor and manage their personal finances. Older Gen Y’s are 25-34, fully employed, use mobile and in-person channels, and are more likely to monitor and manage their personal finances. For Older Gen Y’s, online banking is considered the number one reason to remain with a financial institution, while it’s the number two reason for Young Gen Y’s. Young and Older Gen Y’s rank mobile banking as the number four reason (while all other demographics rank it eighth). When it comes to priorities, Young Gen Y’s are focused on avoiding financial missteps and want to receive regular SMS alerts on upcoming bills, overdraft warnings, and credit limit notifications. For Older Gen Y’s, the priority is insight and control. They want to receive alerts about unusual transactions, progress toward budget goals, and transactions that exceed predetermined thresholds. The biggest sticking point with mobile banking is security. While things have come a long way on this front, security is still far from perfect and both financial institutions and customers are making this a priority. According to a survey conducted by Harris Poll, a perceived lack of security is the number one friction point for those who don’t use mobile banking. Specifically, 64 percent are concerned about the security of accessing financial information, 35 percent don’t bill pay because of concerns with protecting personal information, and 29 percent don’t do person-to-person payments for these same reasons. The Harris Poll also reveals an interesting fact: 45 percent of people aren’t aware that their financial institution’s bill pay service allows them to receive and view bills online, while 41 percent don’t know their bank offers services like person-to-person payment options. In other words, don’t assume that your customers know you have these services. A marketing initiative may be necessary to increase adoption rates. There’s nothing to worry about at this point – most millennials like having the flexibility of physical branch access – but it is an interesting development worth keeping an eye on. Since Young Gen Y’s overwhelmingly have a mobile-first mindset, the practicality of mobile-only banking isn’t out of the question. In order to offer powerful mobile banking services to your customers and clients, you need an SMS partner that understands the importance of reliability, security, and versatility. At OpenMarket, we are that partner. We work with some of the largest enterprises in the world and have earned a reputation for being one of the best in the industry. If you’re interested in learning more about SMS and the role it could play in your business, then please don’t hesitate to contact us today! We would love to put you in touch with one of our customer representatives.